Reader Question: We recently moved into a beautiful home that is 14 years old. We live in a gated subdivision with an HOA that was developed by the same real estate company which sold us our home. We are the third owner of the house and so far have had no issues. Recently I discovered that my son’s toilet in the upstairs bedroom flushes hot water. 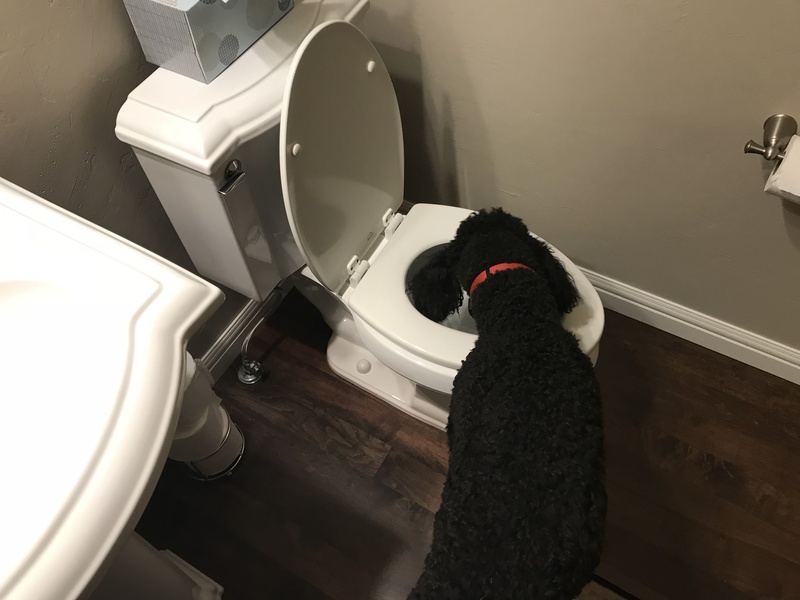 I discovered this by accident when my son was cleaning his bathroom, and after flushing the toilet a couple of times, our dog decided to get a drink. She licked once and then walked away. My son and I wondered why so I stuck my finger in the water and it was sweltering. I’ve had a plumber come out to look, and he said that the original builder had mixed the lines up and it was an easy fix. He described how he would tear out the wall, cut the original supply line and then reconnect to the sink which was next to the toilet. He then said I would have to hire someone to come in and repair the tear out. My question is ” why am I responsible for an original error in construction and should I be?” Has the statute of limitations run out on the home builder being responsible for this error? The plumber said he had not seen this before, but he thought the builder should take care of it. There is no evidence that anyone has tampered with the install and the water on the other side of the wall connecting my washer and dryer is connected correctly. What do you think should be my next course of action? I have read about homeowners winning a case on some homes that were over eight years old but not anything that is 14 years old. The CEO has two choices here. He or she can take the high road and demonstrate the integrity and sense of responsibility the company holds for their product by repairing their error at little or no cost or charge you for the repair. Many CEOs take situations like this and turn them into a lesson to build loyalty, train personnel, and grow the fan base. To do otherwise may tarnish their reputation, particularly in a subdivision they developed.